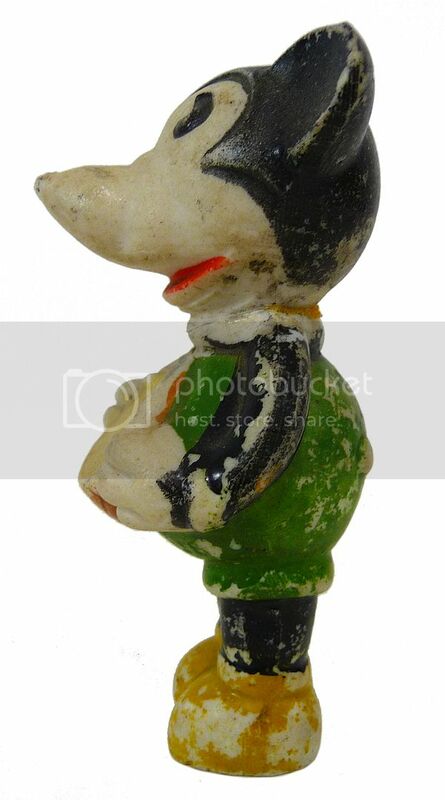 Offered here is a vintage MICKEY MOUSE MUSICIAN Bisque Figurine. 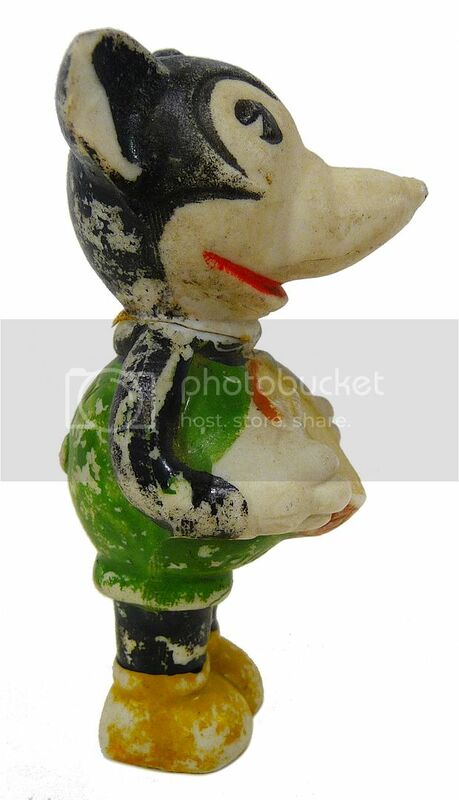 This little drummer Mickey is one of a cool set of pie-eyed Mickey and Minnie Mouse musician figurine toys from the 1930’s. Each is marked made in JAPAN and numbered on the back. He is in fair condition and displays very well, but it looks as like there has been a repair to re-attach Mickey’s head. You have to look closely to see a hairline crack around his neck. Some old glue at the seam on the back gives the biggest clue to the repair. They did a great job and he seems very solid and sturdy. I’ve adjusted the price accordingly. Add this bangin’ Mickey to your musical Disney line-up today! Categories: DISNEYANA, FIGURES, TOYS, TOYS, CHARACTER. 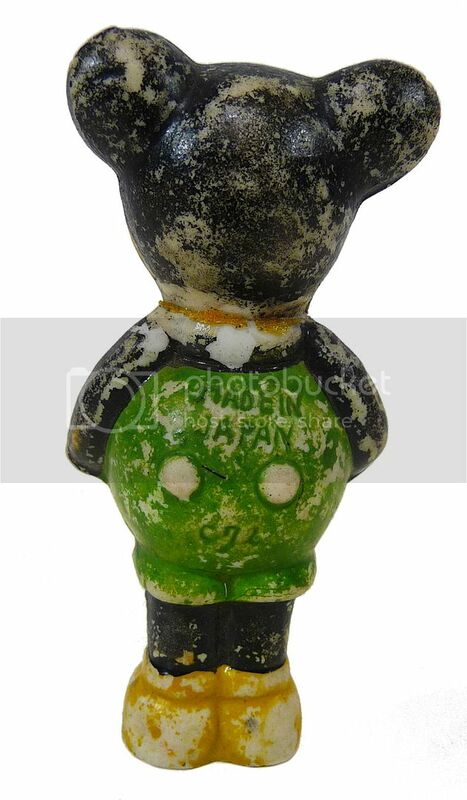 Tags: collectibles, 1930's Disney, bisque Mickey Mouse, Mickey Mouse drummer, Mickey musician figurine, disney, Disneyland, mickey mouse, Pop Culture, toys. 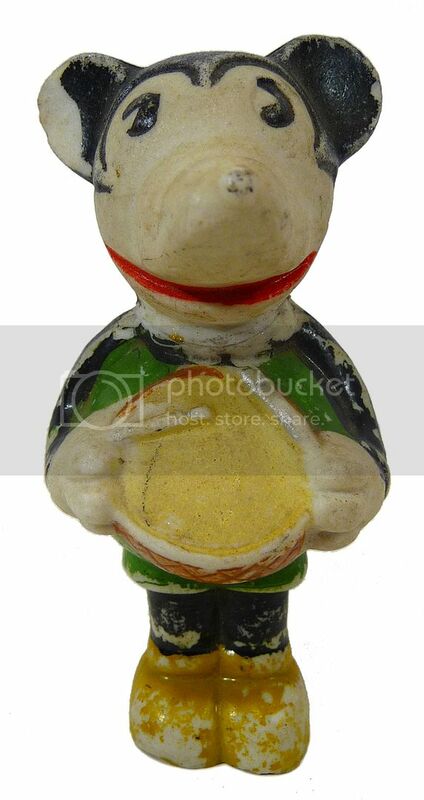 Be the first to review “Disney MICKEY MOUSE MUSICIAN Bisque Figurine (1930’s) Mickey Drummer” Click here to cancel reply.